A former handyman from the Ocean Club resort in Praia da Luz claims he discovered a letter describing how Madeleine McCann's body had been dumped in a lake. 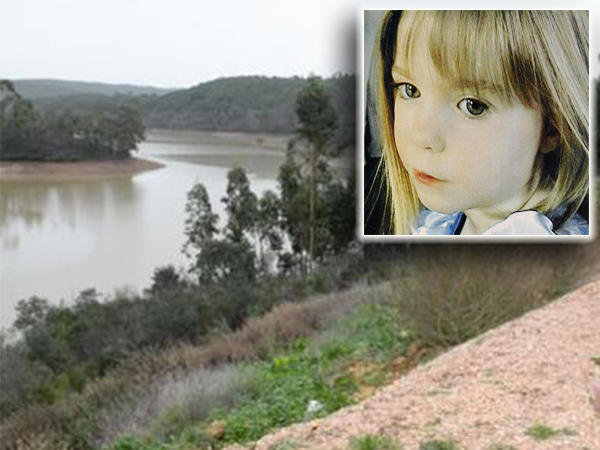 A former handyman from the Portuguese resort where the McCann family were holidaying discovered a letter left at the scene of the crime claiming that Madeleine McCann's body had been dumped in a lake, the UK's Mirror reports. The anonymous tip off was left in the doorway of apartment 5A in Ocean Club in Praia da Luz on the one-year anniversary of her disappearance. The unnamed handyman said he gave the note, which was written in Portuguese and headed "Madeleine Beth McCann", to the police straight away. It described how Maddie's body had been thrown into the Barragem da Bravura reservoir, about 15 km from the resort. The Mirror's David Collins stands next to the reservoir in Praia da Luz. “It was raining that night so it was soaking wet when I found it," he said. "It clearly said Madeleine’s name at the top. It was written in Portuguese. Beneath it was a location for what it claimed was her final resting place." While police conducted a search of the surrounding woodlands five months after Maddie's disappearance in 2007, it is understood there has never been an underwater search of the resevoir. Madeline, four at the time, vanished from the resort in Praia da Luz in May 2007, after her parents Kate and Gerry left her and her siblings to visit a nearby tapas bar.